Dr. Hans Yu, D.O. offers obstetric, gynecologic, and aesthetic services in Bakersfield, California, at Yu Medical Group. Dr. Yu provides patient care for women needing birth control, pregnancy care, incontinence care, body contouring, pregnancy tests, 3D ultrasound, EssureⓇ, and many other modern health and cosmetic concerns. He’s truly a patient-focused doctor who enjoys getting to know each person in his care. Dr. Yu earned his medical degree at The College of Osteopathic Medicine of the Pacific in Pomona, California, and he has now been a practicing physician for more than 11 years. Dr. Yu maintains hospital privileges at San Joaquin Community Hospital, Mercy Southwest Hospital, Memorial Hospital, and Kern Medical Center, to serve the needs of his patients when they’re having surgery, giving birth, or are hospitalized for some reason. 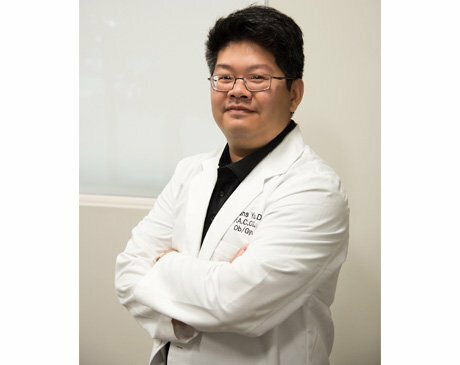 Dr. Yu always strives to make patients feel comfortable and confident, as he prides himself on delivering the best medical care possible. Call Yu Medical Group anytime to arrange an appointment with Dr. Yu.